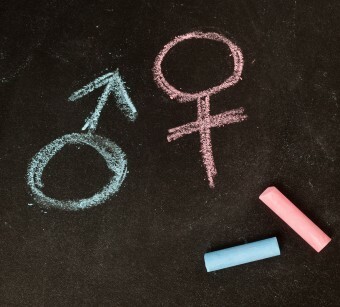 Ashley W. asks: Where did the male and female symbols come from? Two popular associations sometimes made with the symbols today, that the symbol for male also represents Mars’ shield, and the symbol for female represents Venus’ mirror, have been rejected by most scholars. In 1970, the Gay Activists Alliance (GAA) of New York adopted the Greek lambda (λ) as its symbol, and although the precise reason why isn’t well-known, there are several popular theories. One is associated with the great warriors of Sparta, who thought that the lambda represented unity; another holds that the Romans felt the lambda symbolized “the light of knowledge shining into the darkness of ignorance.” Another is that, in chemistry and physics, the lambda represents energy. Interestingly, some claim that the GAA chose the lambda because it had adorned the shields of the Sacred Band of Thebes, a 300-man highly accomplished army of elite soldiers made up entirely of lovers; there is little evidence to support this association, although there was a movie, The 300 Spartans (1962) (not Thebians), in which this particular 300 each had a lambda on his shield. lol. The assertion that “most scholars” reject the idea of the symbols representing the Shield of Mars and the Mirror of Venus is politically correct speciousness. As with the Trident of Neptune symbol, these planetary symbols were mostly pictographs long before there was any need for illogical contortions like the feminist claim that the mirror is actually the sign for a distaff. I’m fine with moving to squares and circles representing respectively male and female, but let’s not be dishonest. And really, is violence symbolizing masculinity any less denigrating (or factual) than vanity symbolizing femininity?